You want to introduce your children to fine art, but lack the time and method for follow-through, right? 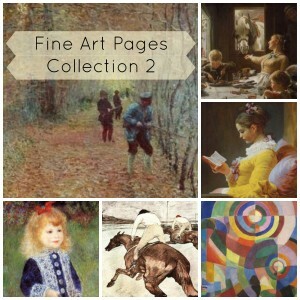 Fine Art Pages are the answer! 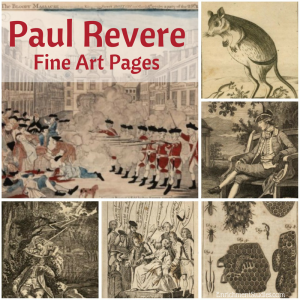 These downloadable, printable collections feature one piece of art per page, plus *just enough* information about the piece and the artist. The method is organic: print ’em out, put ’em up. Let your family observe, absorb, and enjoy! It works. And best of all: it doesn’t run on Mom Power! Would you like to see a sample? Click here! 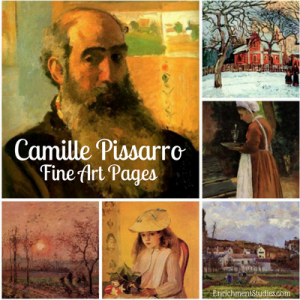 Be sure to check out our other categories of Fine Art Pages! 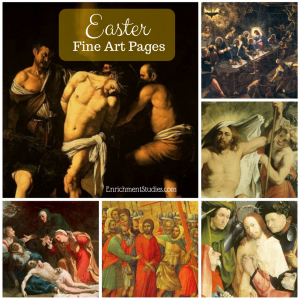 This PDF collection features 14 printable works of art that depict the Biblical Easter season, from the last supper to the resurrection of Jesus Christ! 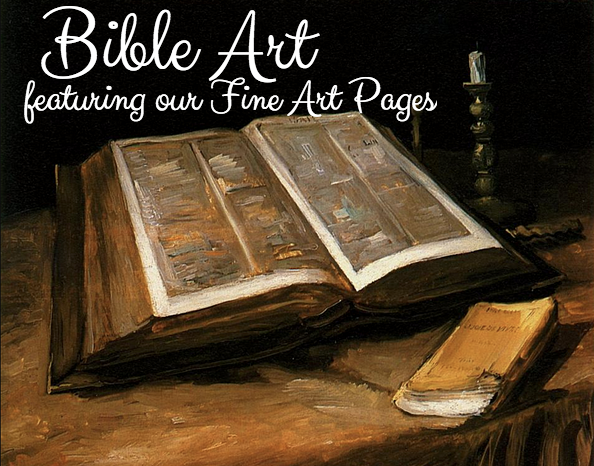 Each page includes scripture that coordinates with the work of art. Many different artists and time periods are included in this collection, adding to the historical interest of how different eras and styles were represented. We also have a free Easter Hymns resource for you here. This collection also includes full page versions of each piece, and our How to Use Fine Art Pages in Your Home guide. Get this collection for FREE using coupon code EASTER. 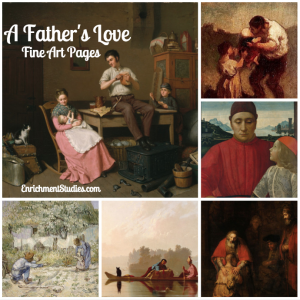 Enjoy 7 printable works of art that depict the love between a father and his children. Dappled sunlight in a Spanish seaside town will dazzle you from one gorgeous painting to another! 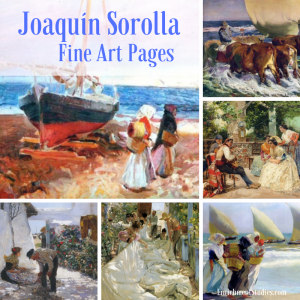 This PDF collection features 25 printable works of art from the wonderful Spanish painter Joaquin Sorolla. You’ll also get the full-page prints in PDF format, and our handy guide, How to Use Fine Art Pages in Your Home! 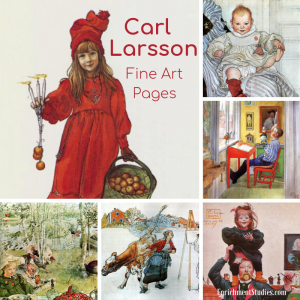 You and your children are sure to love this delightful collection of art by Swedish painter Carl Larsson! These adorable and lovely pieces will bring a smile to your face as you view idyllic family life in Sweden. Includes 20 pieces of art in PDF format. 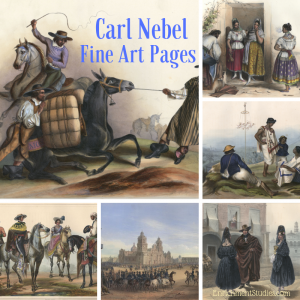 Get a glimpse of Mexican landscape and life in the mid-1800s, as well as a view of the Mexican-American War from this collection of works by German artist Carl Nebel. Having lived in Mexico for several years, Nebel emerged with a firsthand visual account of the life and times there. This PDF collection includes 15 works of art, full page versions of the art, as well as our helpful guide, How to Use Fine Art Pages in Your Home. At first glance, it can easily seem that the arts has solely been the domain of white men, for white men, until the last hundred or fewer years. Thankfully, there is plenty of diversity within the history of the arts, if we are willing to seek it out. 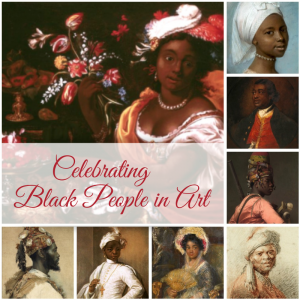 This collection includes 30 printable works of art featuring people of color, from a wide range of artists, from the 1400s to the 1800s. You’ll learn about prominent men and women that were active in the arts world and their communities, and enjoy a glimpse into various cultures and time periods that is interesting and diverse. You will also receive our ebook How to Use Fine Art Pages in Your Home, which will quickly give you an excellent understanding of how to most easily put these gems to work for the greatest impact and enjoyment for your family. 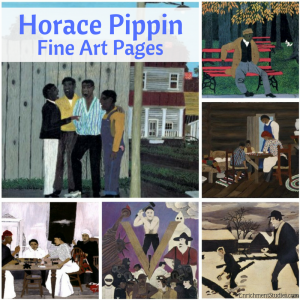 Horace Pippin was a self-taught African-American artist who took up painting as a form of physical therapy after a debilitating injury sustained in World War I. His paintings feature the everyday life of the people he knew well, religious themes, historical themes, and sometimes social commentary on racism. Pippin’s work went on to become world renowned. This collection features 30 printable works of his art. Also included with your purchase is a copy of How to Use Fine Art Pages in Your Home, to help you get started simply and easily. 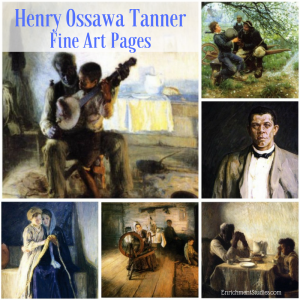 Henry Ossawa Tanner was the first African-American painter to achieve international acclaim, and his works continue to be a source of beauty and inspiration today. In this collection you’ll receive over 20 printable works of art that show a wide range of Tanner’s style and subject matter, including family life, religious themes, landscapes, and more. 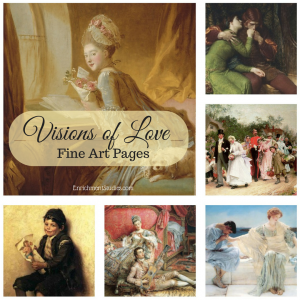 Enjoy 7 beautiful and varied depictions of love in this Fine Art Pages collection. Currier & Ives have some of the most beloved lithograph art in American history! You will be delighted to print out these 12 pieces and display them around your home. Each one features a winter scene, some exciting, some fun, some thrilling, and some beautiful. In this collection you get 9 different pieces of printable art that depict the winter season. This collection has a lot of landscape material, but usually with people and animals in the piece as well. 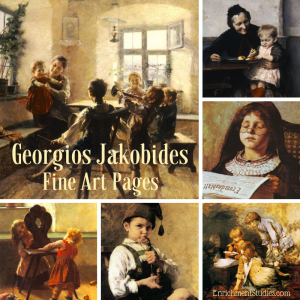 Greek artist Georgios Jakobides is best known for his beautiful realism paintings of children. This PDF collection includes 14 pieces of his work. 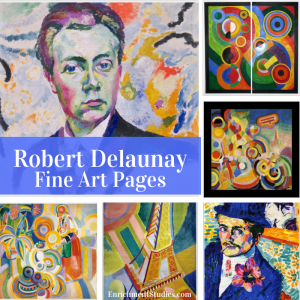 French painter Robert Delaunay is best known for co-founding the Orphism art movement. This style of art is known for bold colors and geometric shapes, which make them a perfect inspiration for kids! This PDF collection includes 13 pieces of his work. 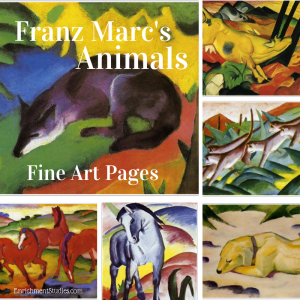 German painter Franz Marc is famous for his animal art, and kids love animals, so we are happy to offer this wonderful collection of 20 pieces of this brightly-colored, boldly-portrayed work. Your children will love the cows, monkeys, weasels, dogs, cats, foxes, deer, and more! Wassily Kandinsky was a Russian painter in the late 1800s and early 1900s. While he worked within several different styles, he is best-known for his abstract art. I love sharing these works with children because I think the style is something many children could hope to emulate in their own personal creativity! 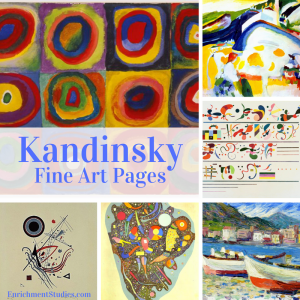 In this collection you’ll receive 17 printable works of art that show a range of Kandinsky’s work, including Abstract, Expressionism, and Post-Impressionism. PLUS this collection includes each piece of art in a full-page size as well! This is something our customers have been asking for, so now we are including that as well. 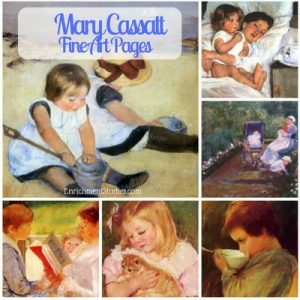 American Impressionist Mary Cassatt’s art continues to be beloved throughout the world! Enjoy 20 beautiful printable pieces of her art. We have selected a nice variety of her works and styles for you to study. Ferdinand Hodler was one of the most popular Swiss painters of the 19th century. His work offers a great scope, as he created paintings in many styles, from Impressionistic, Post-Impressionist, Realism, Art Nouveau, and more! 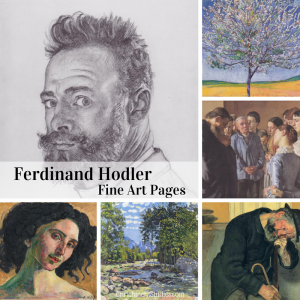 In this collection you’ll receive 13 printable works of art that show a wide range of Hodler’s art, including landscapes, portraits, genre paintings, and more. 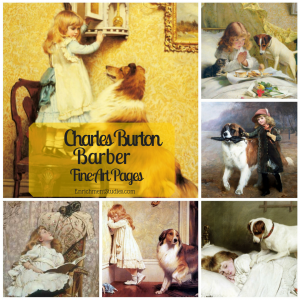 Enjoy 6 pieces of beautiful printable art by Charles Burton Barber! These delightful images of children with their beloved pets are really heartwarming. 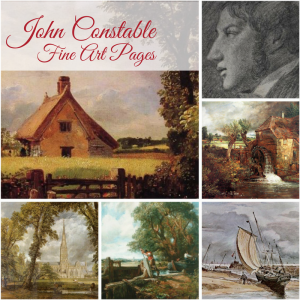 This PDF collection features 10 printable works of art from Romantic Era painter John Constable. Best-known for his beautiful landscapes, Constable’s work is inspiring and beckons us to experience the beauty all around us! “Thank you! These paintings and quotes are awesome! Feeling enriched already…and I haven’t even shown them to the kids yet. 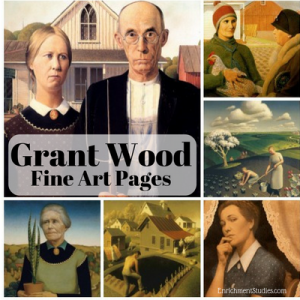 Iconic 20th century American painter Grant Wood is best known for his painting American Gothic. Introduce your children to this famous work, as well as other depression-era Americana with this collection of 9 printable works of art. 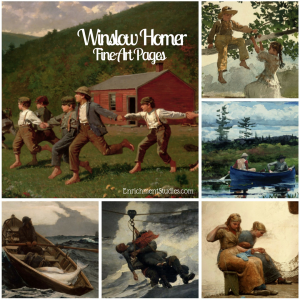 Enjoy 8 beautiful works of art by artist Winslow Homer. 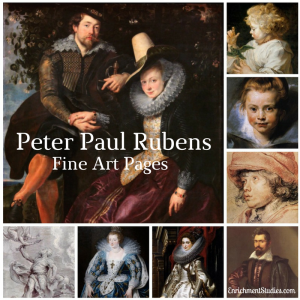 Peter Paul Rubens was a Flemish Baroque painter in the 1600s. I just love his work, both because of the wide range of subject matter and styles that he did so well, but also because of the beauty and warmth that come through so many of his works, particularly those featuring his family. So often old time portraits can seem stoic and severe, and to me Rubens shares devotion and chemistry in relationships that seem very much in tune with a way people of the 21st century can appreciate! 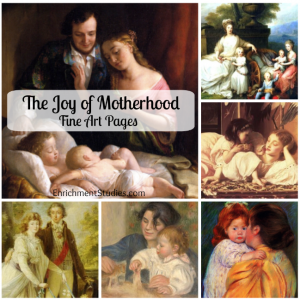 Enjoy 19 printable works of art in this collection, ranging from Biblical themes, ancient Greece, royalty and wealth, genre works, and many beautiful portraits featuring his family. You will love this collection! Good morning — just had a story to share. I have a 4 yr old and a 6 yr old and am homeschooling. I ordered a bunch of Fine Art pages about a year ago and did what you suggested — laminated them and hung a few in our two bathrooms each week. We usually talk about the art when I change the pictures, but nothing extensive. For such young ones, mainly I have been going for exposure. Anyhow, I just wanted to thank you for helping expose my family to Fine Arts — you have truly enriched our lives, and it’s making a difference in our learning. Thank you so much for this – my son loves these fine art pages, and we’re both learning so much from them. You are a blessing!!! 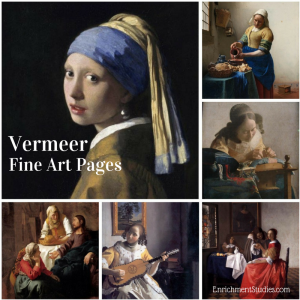 Dive into the beautiful work of Dutch Golden Age master painter Johannes Vermeer! 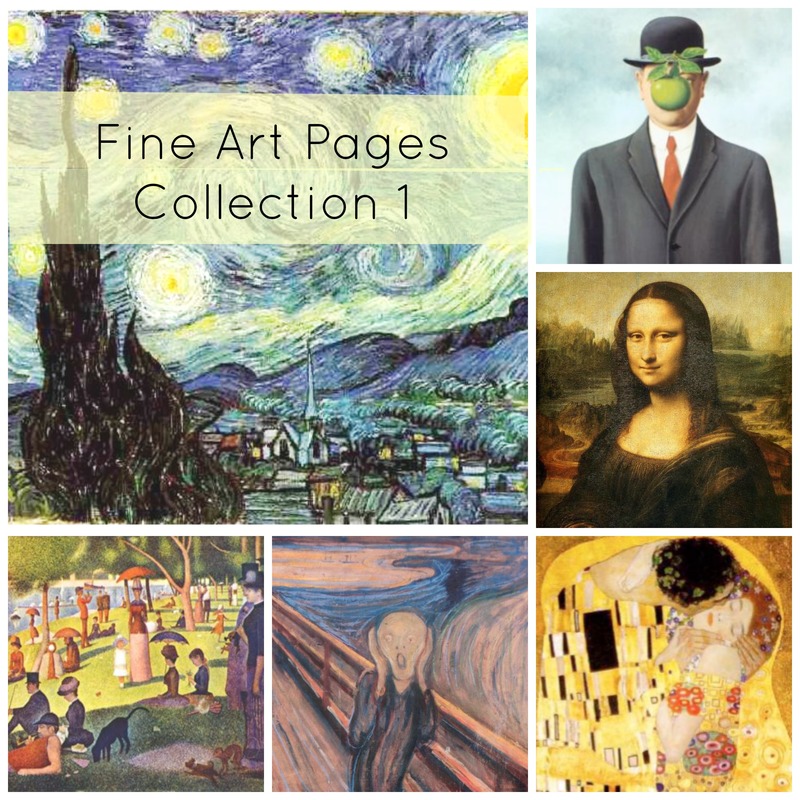 This Fine Art Pages collection features 10 printable works of art including some of his most famous works. Thank you, Erica! 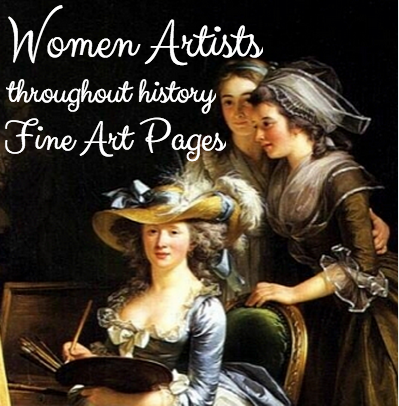 I love these fine art pages, and I love the bit of history you let us in on! 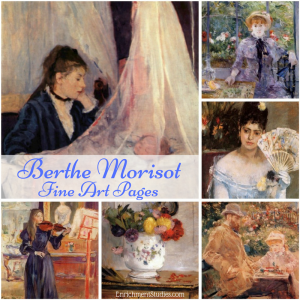 Enjoy 14 beautiful pieces of printable art by famous female Impressionist, Berthe Morisot! 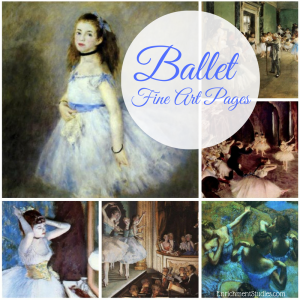 Ballet has been an enduring and beloved subject matter in the world of art, and in this collection we explore several different artists and their depiction of the art of ballet. Get to know works from Degas, Renoir, Macke, Repin, Manet, Metcalf, and Somov. 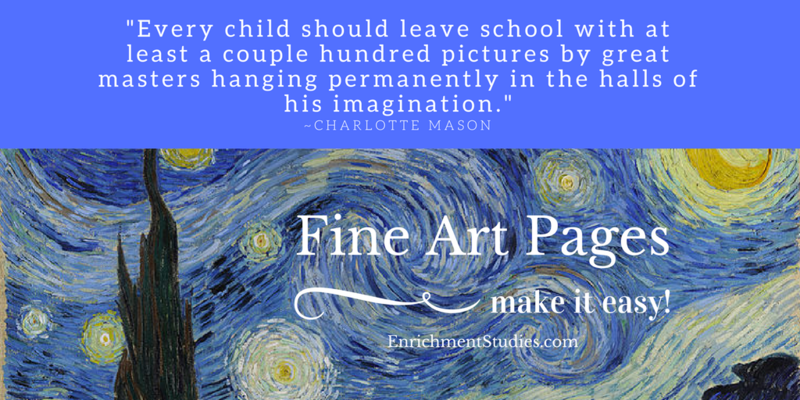 You’ll also receive our fun and helpful guide, “How to Use Fine Art Pages in Your Home.” Twenty printable works of art included in this downloadable PDF. 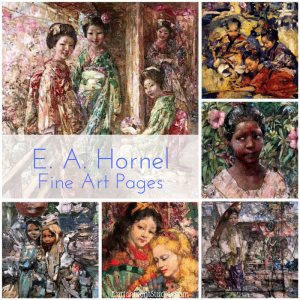 Enjoy 10 printable works of art by Scottish artist E. A. Hornel, featuring girls from Japan, Burma, Sri Lanka, and more! 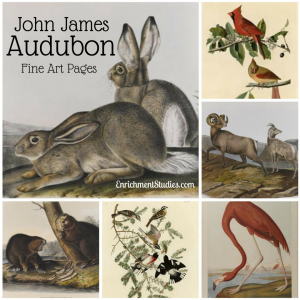 America’s foremost ornithologist, naturalist, and painter is featured here with 10 printable works of his art. Combine your love of art and nature study with this collection! Paul Revere was an American Patriot living in Boston during the American Revolution. Known for his great skills as a silversmith, he was also an accomplished engraver. 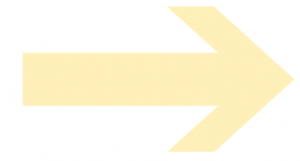 In this collection you will enjoy 8 printable pieces of his work, which includes political subjects and current events, animals and nature study, and more. Camille Pissarro was a Danish-French painter whose work was especially important in the Impressionist and Neo-Impressionist movements. 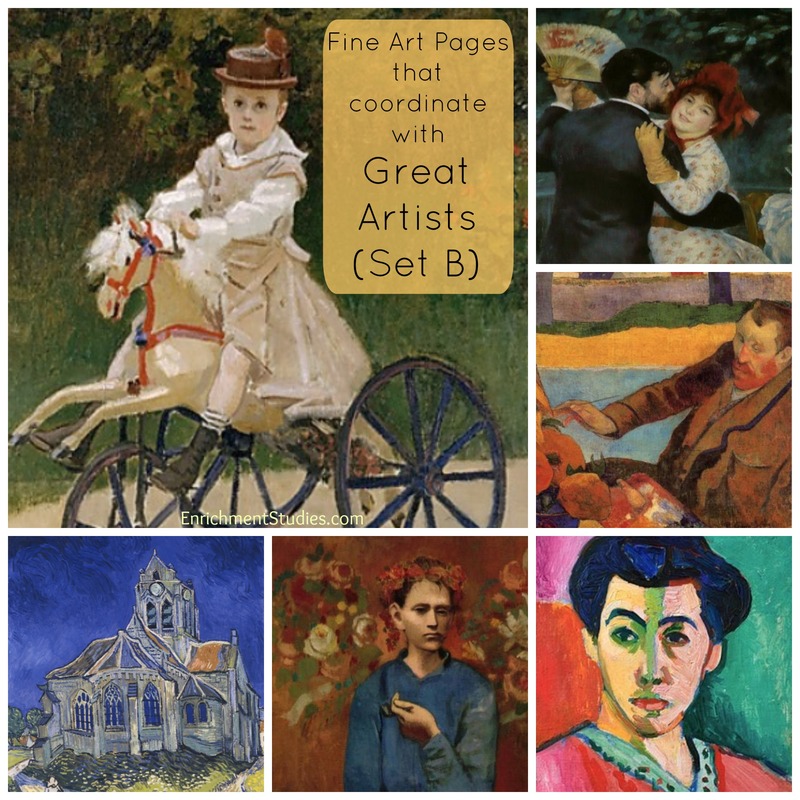 In this collection you can enjoy a nice variety of his styles and subject matter, as well as our fun and helpful guide, “How to Use Fine Art Pages in Your Home.” Ten printable works of art included in this downloadable PDF. 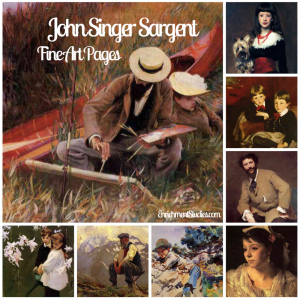 American Artist John Singer Sargent was considered to be the foremost portraitist of his time. His childhood was spend traveling Europe with his family. He was known as a rambunctious boy that didn’t have much interest in schoolwork. His mother was apparently an Edwardian-era unschooler! She believed that their lifestyle of travel and visiting museums and churches would naturally provide an adequate education for her son. Pretty cool, huh? 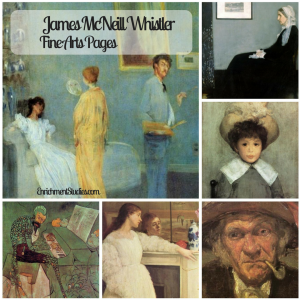 Introduce your children to twenty of his beautiful and interesting works of art with this collection that makes art appreciation easy and organic. 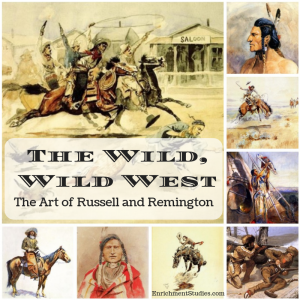 If your children are inspired by the action and adventure of the Wild West, they will love this new Fine Art Pages collection! You’ll enjoy 30 pieces of printable art that are going to delight your entire family, while providing stealth art appreciation–without adding anything onto Mom’s already very full schedule. Charles M. Russell was a Montana cowboy that had a deep reverence for the lifestyle of the West, and for the Native Americans that shared the land. He specialized in cowboy and Native American art, creating over 4,000 works during his lifetime. We have chosen 20 of his paintings for this collection. Frederic Remington was a prolific artist, creating over 2,000 paintings, illustrations, and sculptures during the late 1800s and early 1900s. He specialized in cowboy and Native American subject matter, as well as U.S. Cavalry. Ten of his works are included in this collection. This collection includes 10 printable pieces of his beautiful and interesting art. 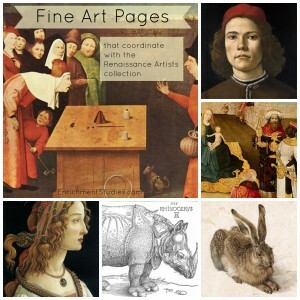 This collection of Fine Art Pages coordinates with our Renaissance Artists collection. 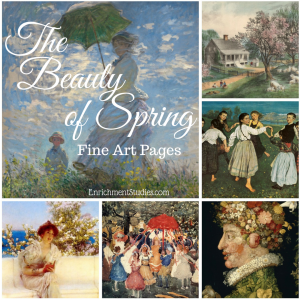 Whether you want to enhance your study of those artists or just enjoy the works around your home, you’ll enjoy this collection. Includes over 33 printable works. 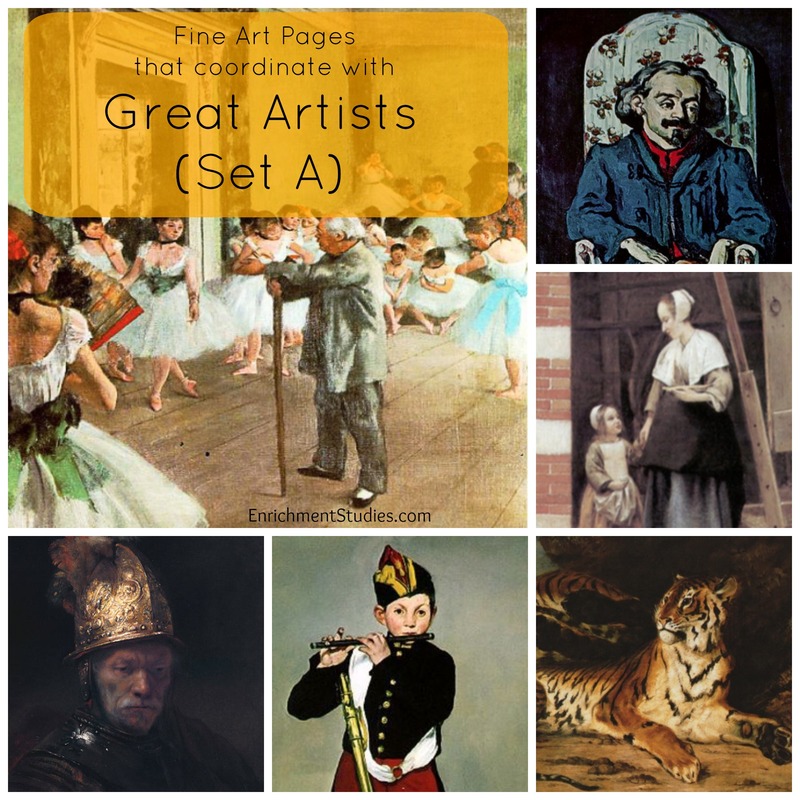 This collection of Fine Art Pages coordinates with our Great Artists (Set A) collection. Includes 2-3 works per artist. 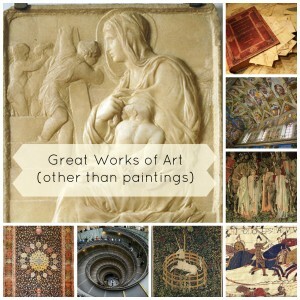 Includes el Greco, Rembrandt, de Hooch, Ruisdael, Delacroix, Manet, Degas, and Cezanne. 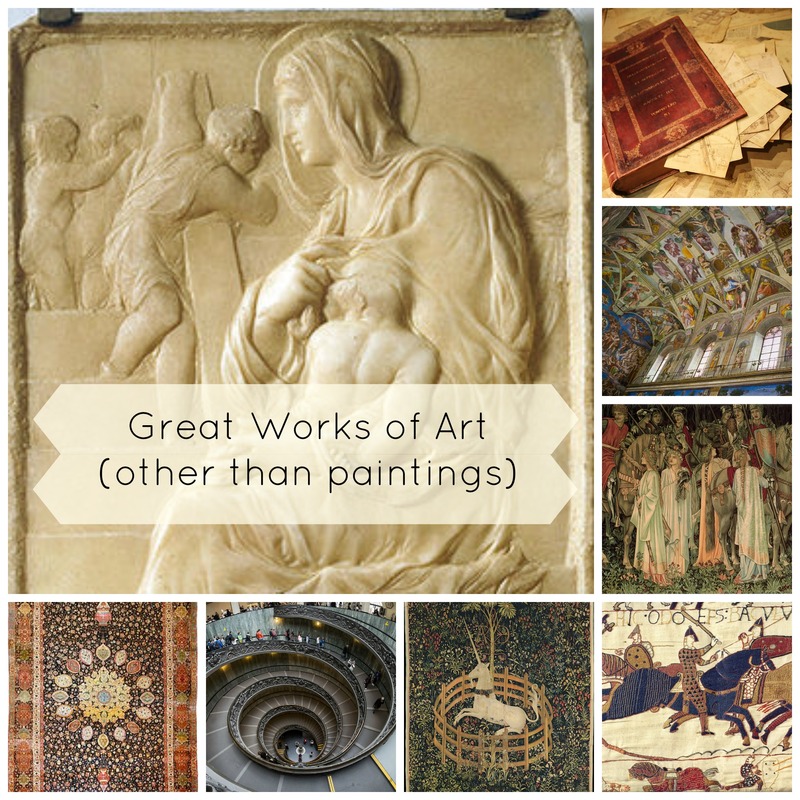 We had a request for a collection that showcases major works of art that are *not* paintings, to better feature a wider variety of art mediums. This collection features 14 beautiful and famous works that do just that. Due to the fact that so many of them are too large to show in just one picture, and because of the rich historical context, you get the printable Fine Art Pages format for each item, PLUS access to a collection of videos to help you learn more about each item. Enjoy sharing sculpture, architecture, tapestries, and more with your children! 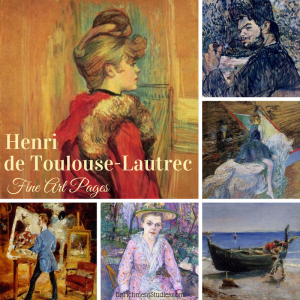 This PDF collection features 10 printable works of art from French painter Henri de Toulouse-Lautrec. You’ll enjoy this selection of post-impressionist work from one of the era’s most famous artists! 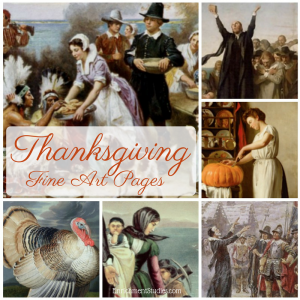 This beautiful collection features 8 pieces of printable art related to Thanksgiving. Several are historical, some are more related to the harvest time of year or the traditional Thanksgiving feast. All are lovely! 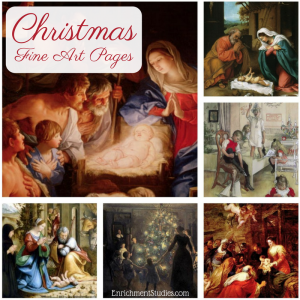 This beautiful collection of printable art includes 5 nativity-type works of art, and 2 family scene works of art. Perfect for enhancing the Christmas atmosphere around your home! 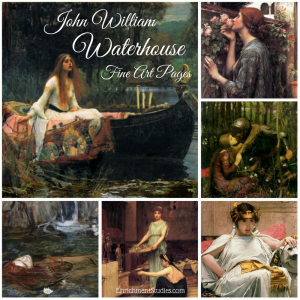 This PDF collection features 10 printable works of art from English painter John William Waterhouse. Best known for his Pre-Raphaelite portrayals of women in Greek mythology and Arthurian legend, you will find many connections between literature, mythology, and history in this collection.